This first-time ever event features over 50 Holocaust Torah Scrolls from throughout the United States, all of which were rescued from Czechoslovakia after the Second World War. Since 1990, CBST has been fortunate to have in its sacred trust a Czech Holocaust Scroll originating from the town of Kladno in 1800. Accordingly, CBST has been honored to receive an invitation to participate with our Holocaust Torah, and carry it in the evening's procession. CBST Executive Director, Yolanda Potasinski and long-time member Jack Malick will lead the CBST contingent. A Gathering of Czech Holocaust Memorial Scrolls will take place at 6pm at Temple Emanu-El, 1 East 65th Street. Doors open at 5pm. Please note that for security reasons, suitcases and large bags will not be allowed in the Temple. The gathering will be followed by a reception and marks the opening of the yad exhibit entitled, "The Guiding Hand: Torah Pointers Past to Present." 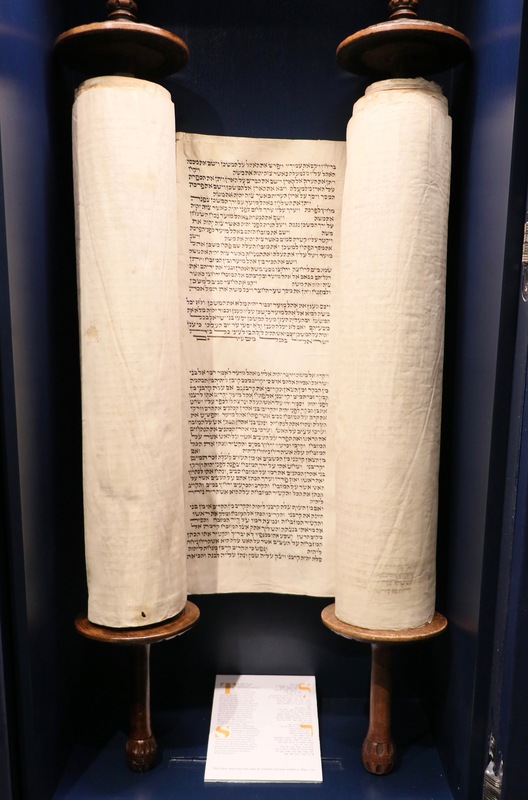 Learn more about CBST's Holocaust Torah, which we will display during the procession. The event is free of charge, but registration is required. You must register with the CBST group, so that we are seated together and can mark this occasion as a community.